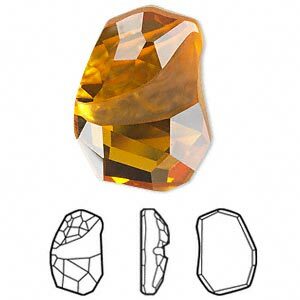 Embellishment, Swarovski® crystal rhinestone, crystal golden shadow, foil back, 19x13mm faceted divine rock flat fancy stone (4787). Sold individually. 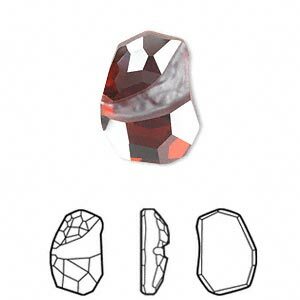 Embellishment, Swarovski® crystal rhinestone, crystal red magma, foil back, 19x13mm faceted divine rock flat fancy stone (4787). Sold individually. 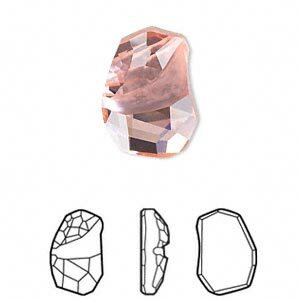 Embellishment, Swarovski® crystal rhinestone, light rose, foil back, 19x13mm faceted divine rock flat fancy stone (4787). Sold individually. 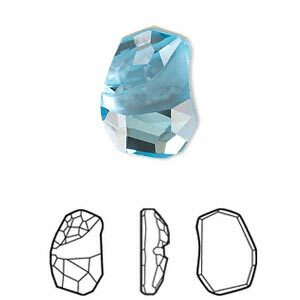 Embellishment, Swarovski® crystal rhinestone, aquamarine, foil back, 19x13mm faceted divine rock flat fancy stone (4787). Sold individually. 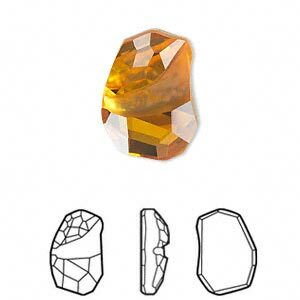 Embellishment, Swarovski® crystal rhinestone, topaz, foil back, 19x13mm faceted divine rock flat fancy stone (4787). Sold individually. 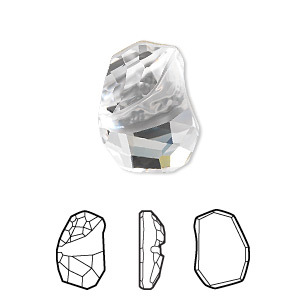 Embellishment, Swarovski® crystal rhinestone, crystal clear, foil back, 27x19mm faceted divine rock flat fancy stone (4787). Sold individually. 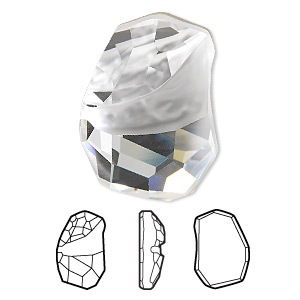 Embellishment, Swarovski® crystal rhinestone, crystal clear, foil back, 19x13mm faceted divine rock flat fancy stone (4787). Sold individually. 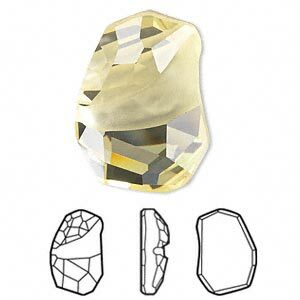 Embellishment, Swarovski® crystal rhinestone, jonquil, foil back, 27x19mm faceted divine rock flat fancy stone (4787). Sold individually. 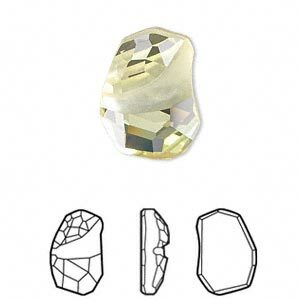 Embellishment, Swarovski® crystal rhinestone, jonquil, foil back, 19x13mm faceted divine rock flat fancy stone (4787). Sold individually. 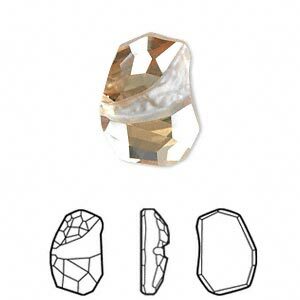 Embellishment, Swarovski® crystal rhinestone, topaz, foil back, 27x19mm faceted divine rock flat fancy stone (4787). Sold individually. 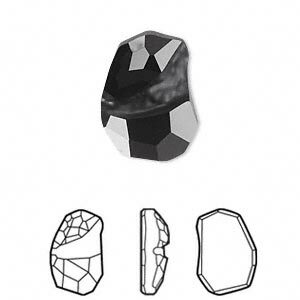 Embellishment, Swarovski® crystal rhinestone, jet, foil back, 19x13mm faceted divine rock flat fancy stone (4787). Sold individually. 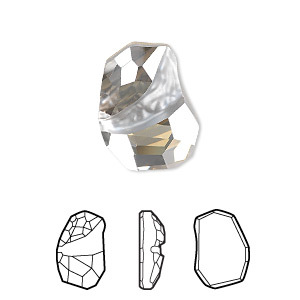 Embellishment, Swarovski® crystal rhinestone, crystal silver shade, foil back, 19x13mm faceted divine rock flat fancy stone (4787). Sold individually.